Business phone systems aren’t the most exciting topic at the dinner table. But saving your business might be. 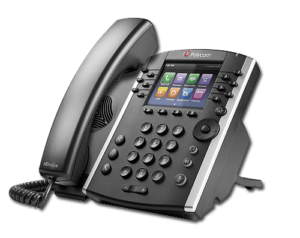 A business phone system can make or break a business in the internet age. A successful business has open lines of communication internally and externally. At the very least, you need to connect with clients. Employees, of course, need to coordinate their efforts. Executives must stay in touch with every aspect of their business. Much of this activity happens over the phone, so having an effective business phone system is a must. What does an effective business phone system look like? And what should it do? An effective business phone system gets the job done. In our opinion, it must provide effective and clear lines of communication, be reliable, and allow for upgrades. To top it off, it must also be cost-effective. A successful business phone system is always tailored to the businesses’ needs. If your business works with clients abroad, for example, your system or service should have the option for low-cost international calls and video calling. A business that has mobile employees that may be off-site needs a phone system that accommodates workers on the move. Modern business phone systems are flexible. Knowing your business well will help you set up your system to optimize your communication needs and help you be productive. Businesses select the right phone system based on businesses’ resources, infrastructure, budget, and needs. A large company may opt for in-house VOIP and internal servers. Smaller and leaner businesses are more likely to go with an outside VOIP provider. VOIP needs only a fast internet connection. It eliminates the need for multiple phone lines and expensive infrastructures. Since communication happens through the net, there are no charges per call unlike with traditional phone lines. VOIP communications are unlimited. Now factor in superior audio quality and the ability to record and save conversations securely on the cloud. So VOIP is the way to go, but should it be in-house or outsourced to a provider? Naturally, businesses that opt for an in-house VOIP system tend to be large and have deeper pockets than smaller businesses. The price tag on modern equipment and software licensing can be prohibitive. Servers aren’t cheap. VoIP puts certain demands on the Internet connection and local network. And the in-house option means hiring in-house technicians to keep the system optimal. Smaller businesses tend to opt for a VOIP provider. By partnering with a professional, the business doesn’t need to buy the essential equipment or transform their infrastructure. Let’s also mention that using a VOIP provider also provides a business with the experience of a team of professionals. This team’s job is maintaining effective communications and securing the businesses’ data. Businesses working with a VOIP provider can look forward to an ever-evolving business phone model that will stay up to date with new techniques and technologies. All of this at a fraction of what their old inefficient business phone system cost them. If you would like to have a conversation with us about business phones, don’t hesitate to contact us at DLS Internet Service at 800-323-2099.